Anthony Wilson co-anchors the Eyewitness News weekend morning newscasts, reports weekday mornings for Eyewitness News and abc11.com, posts on Facebook as Anthony Wilson WTVD and Twitter as AnthonyABC11. 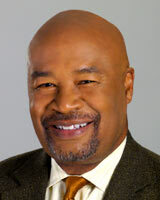 He joined the ABC11 Eyewitness News team in 1993. Before that, he was a reporter and substitute anchor for three years at WXII in Winston-Salem. While there, he won a Best Feature award from the Associated Press for "A Joyful Noise," his series of reports on gospel music in North Carolina. Anthony's also worked as a reporter/producer for Florida Public Television. There, he covered the state legislature and filed a series of documentaries about the Miami riots, the "Official English" movement, the manufacture and marketing of assault weapons, homelessness in south Florida and other issues affecting the people living in that state. He was the anchor/host for the National Public Radio weekly newsmagazine "Crossroads," newswriter for all-news radio station WINS in New York City, and an electronic media producer for the national communications office of the Episcopal Church, also in New York. While there, he traveled to South Africa to cover the enthronement of Archbishop Desmond Tutu. He is a member of the National Association of Black Journalists, former broadcast vice-president of the Triangle Association of Black Journalists, and lead instructor of NABJ's annual four-day short course for aspiring journalists at North Carolina A&T University in Greensboro, NC. He's also working to develop more minority journalists through his participation in the Unity: Journalists of Color mentor program. Anthony is a graduate of St. Lawrence University in Canton, New York. He lives in Durham with his family. Request Anthony to speak at your event. ABC11 is in First Alert Mode as residents in multiple counties are waking up to the aftermath of Sunday night's storm. The Southern Women's Show's drawn crowds ti Raleigh for thirty four years, and Sunday's edition continued that tradition. Women of all ages and backgrounds came, like Patricia Fredrerick, ready to spend. Wednesday's massive blast that killed a local businessman, sent more than a dozen people to the hospital and destroyed downtown Durham buildings happened on the day the city was founded 150 years ago. On Tuesday, more than 40 Triangle business executives traded in their business attire for hard hats and hammers. A new multi-services center in Raleigh is set to offer services and stability to the homeless.